Yes, Stevia leaves are naturally sweet, however those white powders and clear drops we find in grocery stores have very little to do with the Stevia plant. Stevia is green. 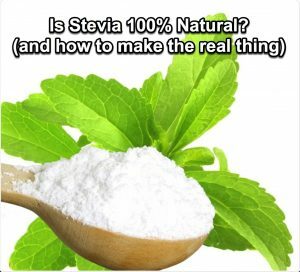 The end product you purchase in the market is not really stevia at all. It’s a super-refined product using toxic chemicals and bleaching agents such as methanol, arsenic, ethanol, acetone and others. Then marketed as ‘healthy’. These include countless brand names such as Truvia, SunCrystals, PureVia, Stevia in the Raw….. Although sold everywhere in natural food stores it has not however been approved for use as a food additive in Canada or the U.S. Only ‘highly purified’ Stevia extract (Stevia glycosides), sold under the brand names Truvia and Pure Via, have been deemed safe and been given the green light to sweeten foods like breakfast cereals, salad dressings, candies, chewing gums and beverages. Yet like all Stevia brands they are so highly processed that they really can’t be called Stevia. The leaves of the Ka’a he’e plant have been known to Guarani Indians for more than a thousand years, but for generations were kept as a secret by Paraguay’s indigenous populations. In Guarani the plant’s name means ‘sweet herb’. It remained a secret until 1887 when a Swiss chemist defined it’s antioxidant, antiseptic and healing properties in the laboratory. It would be renamed Stevia. This work would explain why the Guarani had been using it as a much coveted medicinal tea. America was not yet in sugar trouble, so the discovery remained relatively quiet until 1970 when science began to suspect artificial sweeteners such as saccharine could be carcinogenic. America turned to Japan, who’s researchers had discovered the plant’s attributes 40 years before and had filled an entire vessel with Paraguayan Stevia and shipped it home to begin planting locally. When they ran out of space on the island, they decided to send their stevia to China. Today, China is World Leader in Stevia production…or should I say chemically converted Stevia products. As demand has grown, it has distorted the market. Because Stevia is derived from a plant we are led to believe it is natural, and consumers are misled into believing that they are benefiting from the plant originating from its natural state. As Stevia gets more synthetic, the near future is aimed at no longer depending on the cultivation of Stevia plants. The future of synthetic Stevia is expected to be enormous. As our sweet tooth grows it will represent 30% of the global sweetener market. For those who has gotten comfortable with Stevia, I deeply apologize, but I believe it’s time to break-off the relationship with this sweetener. This product has been co-opted by multinational companies. I know it can seem like just one more food bummer, but that is the world we live in now. Corporate Food is now attempting to get us to buy foods that never see the light of day. Foods that never touch God given sunlight, absorb nutrients from the Earth or feel rain on their leaves or branches. But here’s the thing. These dark souls are not counting on us getting educated. 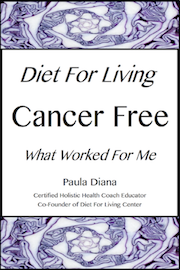 The answer is to relearn how to eat closer to Nature, away from a world saturated in processed food products. Stay flexible, open to learning and willing to give-up foods that do not fit our high standards for health. We are not dependent on corporations to make our foods. They are dependent on us. Google up raw honey growers in your area (not pasteurized, as it kills all the precious benefits in honey) and go for a visit. Or stop and chat with them at your local farmer’s market. These devoted bee people are high energy folks that make you glad to be alive. Old world nutritional advice taught us to live in terror of anything with calories, but honey contains various powerful nutrients that help the body break down the natural sugar and feeds the cells and organs so that we don’t crave more sugar. Yes, honey has calories, but it is usable calories, that give you energy. Have you ever seen an overweight lazy bee??? The best way to use Stevia and benefit from it’s healing properties is to do what the Guarani Indians have been doing for hundreds of years: brew the leaves as a tea. Many places now sell Stevia plants, so try adding several to your herb garden or sunny window sill and experiment. There are many different species of Stevia, but try to locate Stevia Rebaudiana, sometimes called Rebiana or Reb A, which is native to Paraguay, honors the Guarani Indians and is the sweetest of Stevia plants. ONE: Harvest your Stevia plant by cutting off the branches at the base. Pick the leaves off the stem and discard the stem. TWO: Dry the leaves in the dehydrator for 8-12 hours. THREE: Once the leaves are dry, grind them in a food processor or coffee grinder to make pure Stevia. FOUR: Follow the above instructions. Then dissolve ¼ cup pure home grown Stevia powder with 1 cup hot filtered water. Stir and leave at room temp for 24 hours. FIVE: Strain the Stevia out of the liquid and store in a glass jar in the fridge. Experiment with the taste. It will not be as sweet as commercial Stevia, but a little goes a long way. Only A Few Spots Left! Register Today! and Transformative for both you and your clients. Career That Makes A Difference!